Large and well labelled buttons Asymmetrical design may not be to everyone's tastes - asides from that it's great! 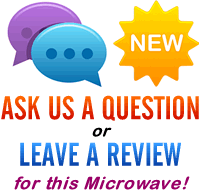 Looking to purchase a mid priced compact solo microwave? The RHM1719B from Russell Hobbs is finished in a striking black design, with a slightly asymmetrical window built into the door. Featuring an overall 17 litre capacity, this microwave isn't the largest on the market - however it does have well labelled buttons, and is very easy to operate - making it suitable for the elderly and other groups who may struggle with complicated control systems. Overall power output is 700w, which is divided into 10 different power levels. Timing is handled by a digital system, of which the display is pretty clear and easy to read. A removable glass turntable is included, for easy maintenance and overall build quality is pretty good - none of our testers found any issues in this department. The Russell Hobbs RHM1719B is a well constructed microwave, with easy to use controls and a clear display. 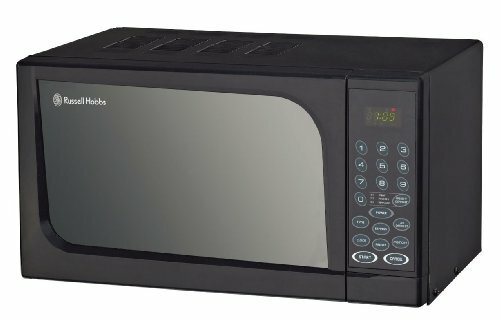 Ideal for those who aren't looking to spend a fortune, but require a simple and reliable solo microwave.